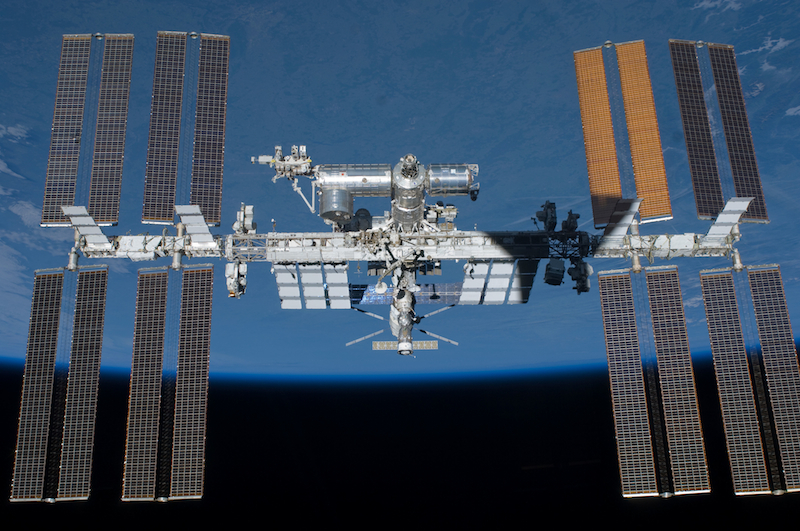 In ORBITAL MANEUVERS, the International Space Station becomes a sanctuary for the crew of Endeavour as they struggle to survive the asteroid impact. 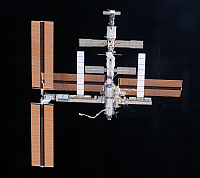 The International Space Station was first proposed by President Ronald Reagan in his State of the Union address on January 25, 1984. He proposed that it would be built within a decade. Unfortunately, there were many problems that had to be overcome before construction of the station could begin. 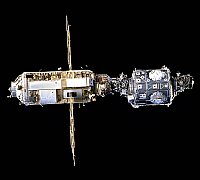 In November 1998, the first element of the station, Zarya, was placed in orbit on Russia's heavy lift rocket - Proton. 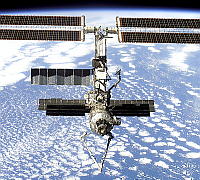 A month later on STS-88, Endeavour brought up the first US component - the Unity Node. 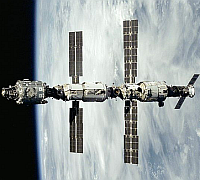 The station remained uninhabited for a year and a half until Russia provided the Zvezda module in July of 2000. After this event the station received its first crew, Expedition 1, that following November. 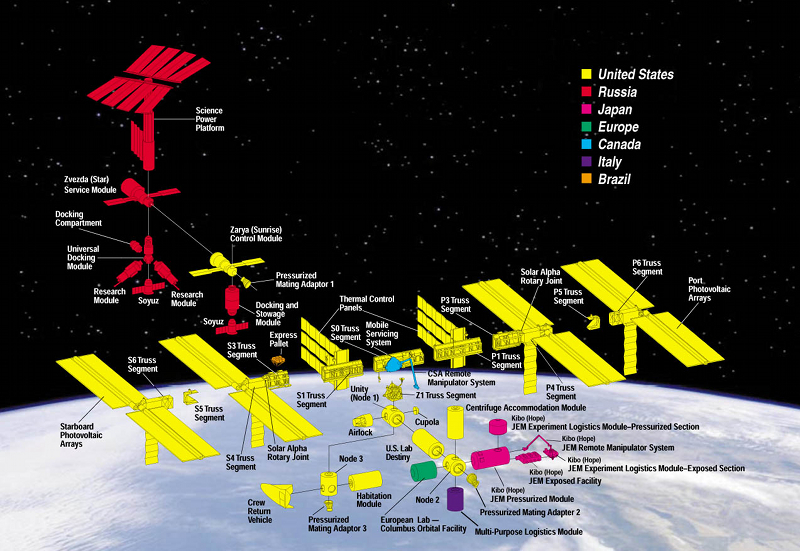 The space station is being constructed by a consortium of agencies: NASA in the United States; RKA (Russian Federal Space Agency) in Russia, the Canadian Space Agency - CSA; Japanese Space Agency - JAXA; the European Space Agency - ESA; the Brazilian Space Agency - AEB; and the Italian Space Agency - ASI. 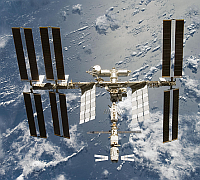 The station's main purpose is as a research laboratory to study the effects of weightlessness on humans as well as to conduct research into life sciences, physical sciences, manufacturing and Earth observation. 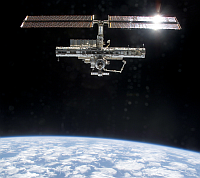 Work is also being conducted on long duration space flight simulations. 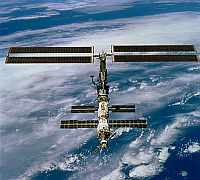 Suffering delays because of the Challenger and Columbia accidents, the station is scheduled to be completed by December 2011. The last shuttle flight to the station was when Atlantis (STS-135) launched on its final mission on July 8, 2011. 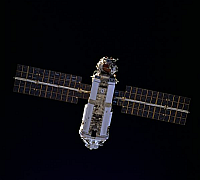 Bringing the Raffaello Multi-Purpose Logistics Module with supplies to the station and returning with a failed pump module and other waste equipment and supplies. Altantis touched down at the Kennedy Space Center on July 21, 2011 after traveling 5,284,862 miles on this mission, with a total distance traveled of 125,35,769 miles during its service life. 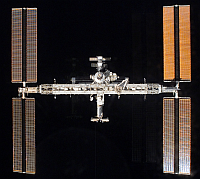 · The space station is the largest manmade object in space. 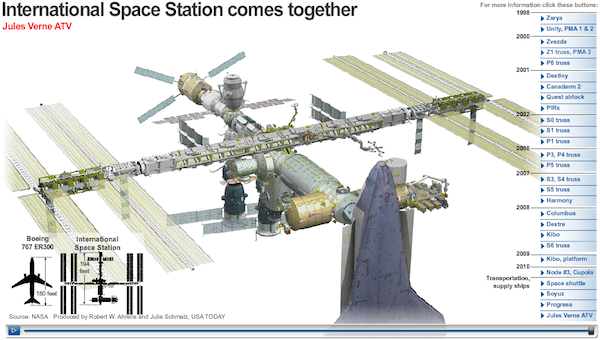 Click on the image below to see a great animation from USATODAY of the International Space Station assembly from the first module, Zarya in 1998 to the latest addition of the Cupola in 2010. You can get more information about the modules by clicking on them in the timeline after the animation runs.